The best-sellers just keep getting better. At the New York Auto Show, Toyota unveiled a completely redesigned Camry, further raising the bar that they have set for over a decade. The rebuild hits the eyes immediately, as the exterior has been redesigned from head to toe. The lines of the 2015 Camry are far more noticeable, conveying a sense of strength and athleticism. The car is also larger – 1.8 inches longer, and 0.4 inches wider) which gives it a look (and feel) of sturdiness. The contours of the exterior hold throughout the entire vehicle, allowing the Camry to look both smooth and aerodynamic while retaining the athletic look as well. The bumper is a completely new look, the grill is larger than ever before, and Toyota is topping it all off by featuring the Camry in ten different color options. The interior is equally upgraded, as it is roomier, more luxurious, and more innovative than ever before. Most impressive is a first-in-class wireless charging system for select smart phones, which pairs with the 4.2 inch TFT screen to create an easy and safe driving experience. 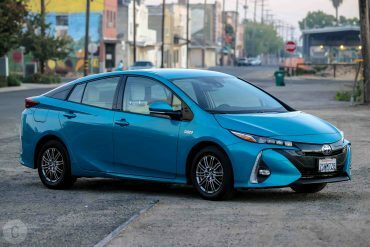 Toyota rounds out the interior with a choice between premium cloth, genuine leather, and Ultrasuede with French stitching, but the real hero is that Toyota has made drastic innovations with insulation to reduce noise in the cabin. Under the hood is the same engine we’ve grown accustomed to with the Camry. There’s a conventional 2.5-liter 4-cylinder and 3.5-liter V-6, as well as a 2.5-liter Atkinson Cycle Hybrid Synergy Drive engine. The best-selling car just took a big step forward.